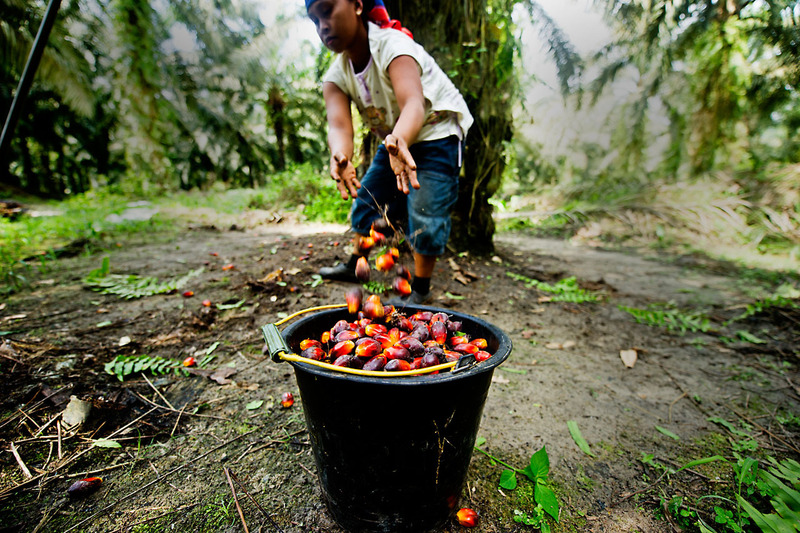 Affordable Palm Oil At What Cost? 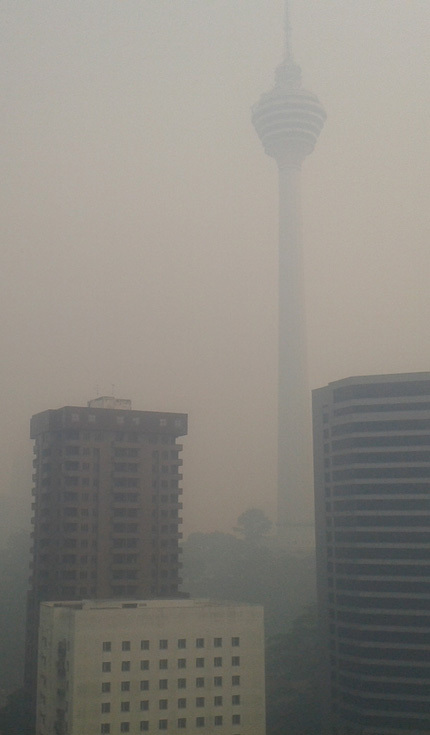 Singapore and Malaysia have been affected by severe smoke haze due to forest fires in the region periodically. There are already many reports on the adverse impacts of oil palm plantation on the environment, however Adam Harrison's on-site account of the current situation may convince our readers to take extra measures when purchasing items made with palm oil. This article is taken from Adam Harrison's blog on the WWF website. "Right now I’m in Kuala Lumpur, Malaysia, having just attended a series of meetings with the Roundtable on Sustainable Palm Oil (RSPO). All week we’ve been hearing about the record levels of air pollution in Singapore to the south. But now it’s reached Kuala Lumpur itself. This photo shows the ‘view’ of the iconic Menara KL telecom tower out of the window. It’s only a few hundred metres away – but it’s about to disappear in a haze of acrid smoke that bites into the back of your throat and stings your eyes. The fires are burning in the deep peat soils and forests of central Sumatra just across the Melaka Straits. WWF Indonesia is currently monitoring more than 1,000 such fires in Riau Province alone. More than two fifths of these are within the concessions of major oil palm and timber companies. Many fires outside of the concessions are set by smallholders clearing land for their own smaller-scale palm oil plantations to produce fruit to sell to the bigger companies. Some of these fires are even in national parks such as Tesso Nilo. This used to be part of a 1.6 million hectare forest rich with plants and wildlife like tigers and elephants. Now all that is left is 80,000 hectares that has been designated – and of that almost half has already been lost to illegal oil palm cultivation – to feed the mills that have sprung up around it. No more room for the tigers and elephants. I was in the middle of a peat fire in Malaysia last year and it’s a frightening experience. The ground beneath your feet is too hot to stand on, the surface smoulders and suddenly and unexpectedly a gust of wind will ignite a fire and a tree or shrub will burst into flames. It’s almost impossible to put out a fire on peat soils because it’s underground – there just isn’t enough water to soak peat soils that have been artificially drained to allow access for logging and clearing. The pattern of land clearance in Indonesia starts with forest being logged commercially and then degraded or even cleared by communities to grow food for themselves. They’re in turn replaced by smallholders wanting to grow oil palm to sell to the larger companies. It ends up with those companies taking the degraded land and turning it into industrial plantations themselves – pushing the communities into new land and perpetuating the cycle. But the palm oil industry doesn’t have to be like that. The Roundtable on Sustainable Palm Oil standard bans the use of fire unless it is allowed in detailed regional government guidelines. But even though these companies may not use fire on their own land, they’re still buying from other companies and smallholders who may well be burning. So RSPO members need to start taking control of what they are sourcing – making sure they are not buying fruit that has come from illegal areas or from land that has been burnt in uncontrolled ways. As consumers, we can all help by demanding that the palm oil used by our favourite brands and sold in our local supermarkets only comes from RSPO-certified sources. And the Indonesian government needs to take control of the situation – not just about whether companies and smallholders burn, but the bigger picture about which land should be cleared for plantations and which should be protected. About the writer: Adam Harrison is the Senior Policy Officer for Food and Agriculture for WWF UK. Currently, based in Scotland, he has been working for WWF for the last 12 years on a range of rural, agriculture and food based policy areas.For the last 7 years, he has focussed on working with UK-based companies using palm oil and lobbying them to source these commodities sustainably. He has recently taken a lead in WWF on institutional support to the RSPO. Before working for WWF in the UK he was based overseas from the late 1980s working in natural resources management and development in Nepal, Cameroon and Namibia.